Gardein meatballs and the meatballs, sauce, and pasta all cook in one pot. Buffalo Chicken Soup – This creamy soup is low carb and keto compliant. Instant Pot Light Cream Cheese Chicken – Recipe by Once a Month Meals (so you know it’s tested and will be delicious), this is a lighter version of one of their top favorites. Instant Pot Weight Watchers Turkey & Veggie Chili – This delicious chili is zero Weight Watchers freestyle smart points. Instant Pot Egg Roll Bowl – This dinner tastes just like your favorite egg roll filling. Make it a treat by serving with a few crisped won-ton chips. Lemon Garlic Chicken – Tender chicken breasts with lots of lemon flavor. Instant Pot Salsa Chicken – This super-easy dinner is zero Weight Watchers points and takes just 3 ingredients. Serve over rice, cauliflower rice, in burrito bowls or tacos. 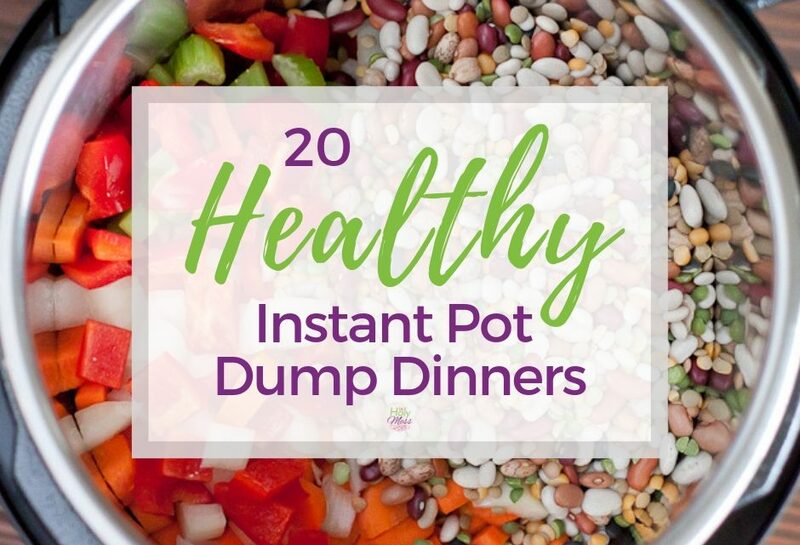 a blend of paprika, turmeric, cumin, salt and pepper and has chick peas and dried cherries. Instant Pot Healthier Spanish Rice with Chicken and Sausage – Another easy prep meal by Once a Month meals, this is a lighter version. Chicken Fajita Soup – A hearty soup with all the flavors of your favorite restaurant-style fajitas – for half the fat and calories. Instant Pot Balsamic Pork Tenderloin – Super easy pork loin recipe that is full of flavor. 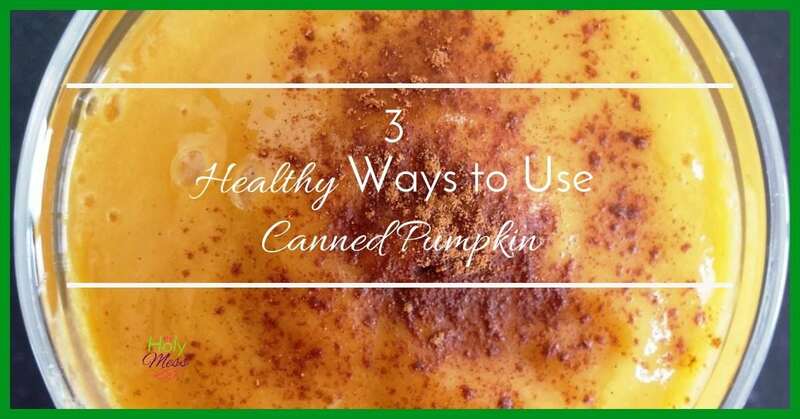 Make this even healthier by using light Italian dressing. Cabbage Soup (Weight Watchers Friendly) – This filling soup is super-low in calories and packed full of nutrition. 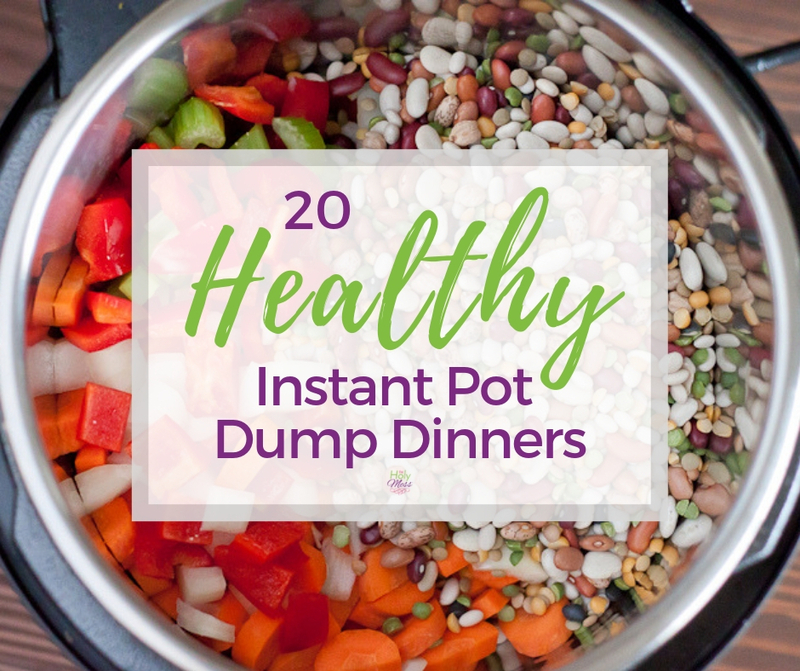 Perfect to detox from junk food or for a light lunch. Chicken Cacciatore – This Instant Pot Cacciatore has lots of tomato flavor with healthy chicken. Healthy Chicken Stew – A different stew, this recipe calls for chicken, carrots, onions, peppers and is seasoned with soy sauce. Serve as-is or over rice, whole wheat noodles, or quinoa. Instant Pot Hamburger Soup – You will need to brown the ground beef for this one, but it’s totally worth it. This soup is loaded with healthy vegetables and it’s frugal, too. Instant Pot Creamy Chicken Noodle Soup – This one is super-fast, especially if you use pre-cooked chicken from another recipe or rotisserie chicken from the store. 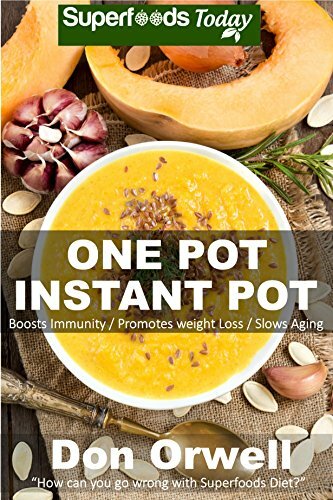 Instant Pot 15 Bean Soup – This hearty soup (which happens to be zero WW freestyle points) is a delicious way to get protein without meat. Instant Pot Pasta Fagioli – This mouth-watering soup has pasta, ground beef (use lean) and a bunch of nutritious vegetables. 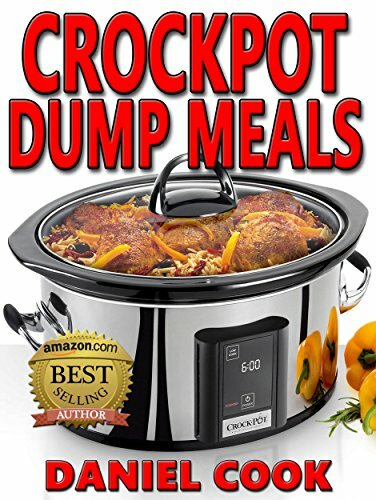 Serve for dinner or to guests. Everyone loves it. Swiss Steak and Potatoes – This Instant Pot Swiss steak has a tomato sauce and cooks right with potatoes in the Instant Pot. A traditional favorite made with skirt steak so it’s frugal, too. Instant Pot Salmon and Vegetables – This delicious healthy dinner cooks all in one pot and the salmon is so tender. 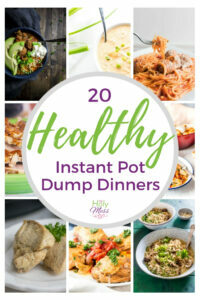 Such a great list of Instant Pot Dump Dinners! 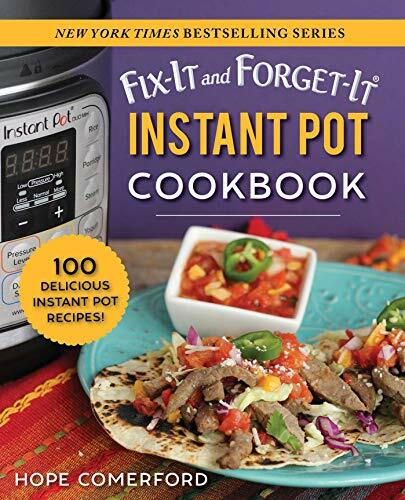 Thanks for including my Instant Pot Chicken Fajita Soup.